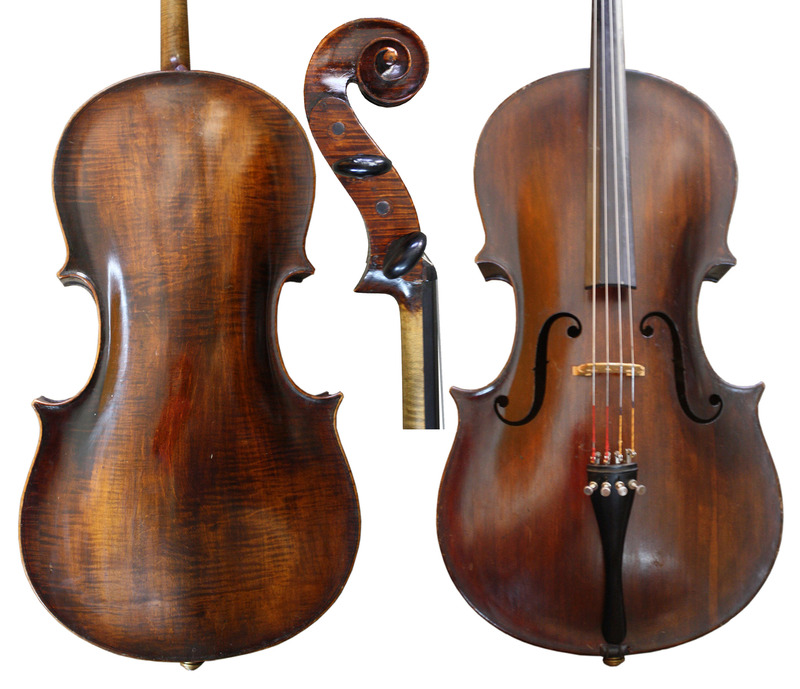 We have a highly exciting cello by Abraham Prescott for sale. 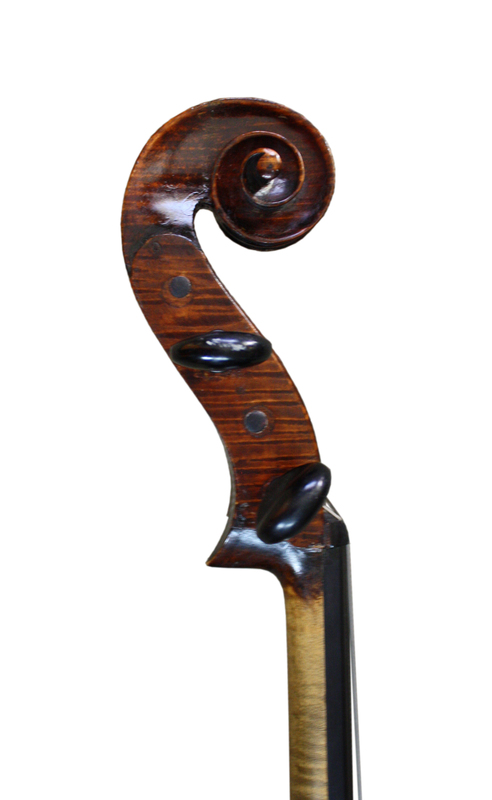 Abraham Prescott (1789-1858) – This cello “church bass” was made in Deerfield, New Hampshire circa 1825. Prescott had some rather unusual ways of making instruments. Instead of using three pieces of purfling he inserted two separate black purfling pieces and left the top and back in between untouched. He set the ribs (by carving a channel) into the top and back, which is highly unusual. The sound holes have extreme curling and pointed wings. 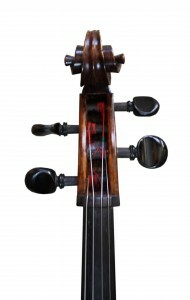 Just like the sound holes, the outline of the upper and lower bouts are very round. 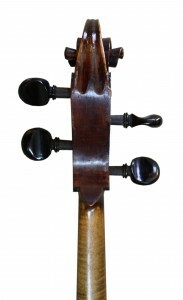 On the scroll, the back of the pegbox is flat, the sides of the pegbox are also flat and come to an abrupt stop with a step which connects to the fluting of the volute. From the front of the scroll the walls of the volute are severely undercut. This cello has a dark rich sound. Prescott made 207 double basses and 500-600 church basses. Since he was also a deacon of the Baptist church and voice school teacher, he had contacts to help him sell his instruments. Later in his life he began making and repairing reed organs.